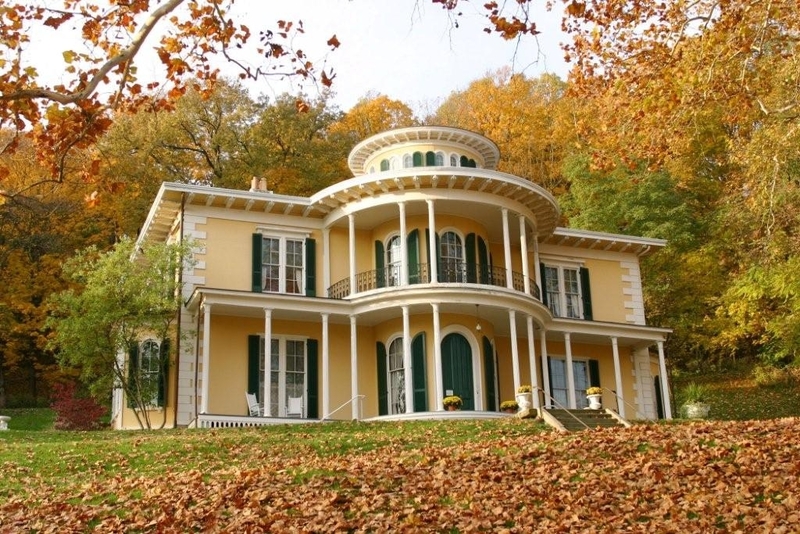 Whether you’re there to explore national historic sites, museums, or mansions, Indiana’s Historic Pathways is a byway fit for every history lover. In a region affected by Revolutionary War battles, the booming commerce of the Steamboat Era, and daring Civil War raids, this byway has something for any curious traveler. 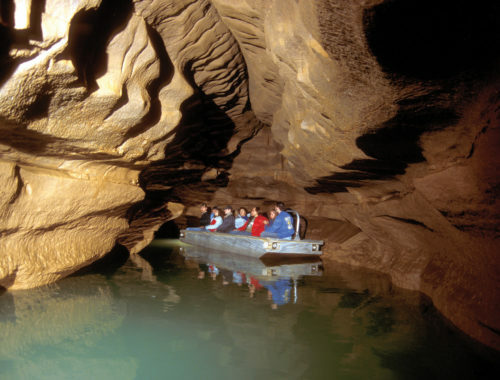 As the 250 miles of Indiana’s Historic Pathways wind their way from the Ohio River to the Mississippi along the ancient Buffalo Trace, they travel through a region affected by Native American presence, Revolutionary War battles, the booming commerce of the Steamboat Era, and daring Civil War raids.  Come explore national historic sites, museums, mansions and memorials on Indiana’s Historic Pathways! 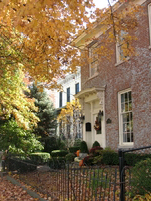 Start your visit at Mansion Row in New Albany at the southern end of the byway, where more than 40 majestic homes showcase a range of old-time architecture. Mansion Row will inspire you with historic mansions from the Italianate towers of Masonic Hall to the elaborate and elegant Second Empire style, represented by the Washington C. DePauw House. Several mansions are now restaurants or offices, some are bed and breakfasts, and others stand ready to tell their stories to visitors through tours of their lovingly preserved interiors. Inside of these mansions you’ll find period furnishings, grand fireplaces, detailed ceiling frescoes, hand-carved staircases, and more. In Jeffersonville, also near the southern end of the byway, go back to the Steamboat Era and explore the Howard Steamboat Museum. The museum hosts exhibits of several ship models, paintings, shipbuilding tools, and more. 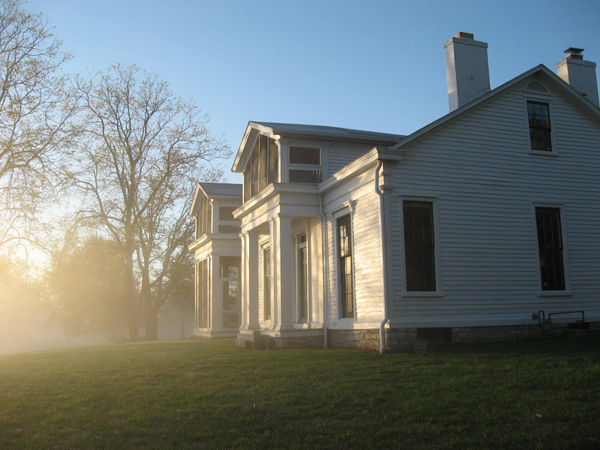 Be sure to check out the many historic sites in Vincennes, at the western end of the byway. One historic site that remains in spirit if no longer prominent in life is the old Buffalo Trace. Buffalo (bison) first broke this trail through the native hills and prairie. Native Americans then followed in their tracks as they hunted the buffalo. Today, the byway itself retraces this route. 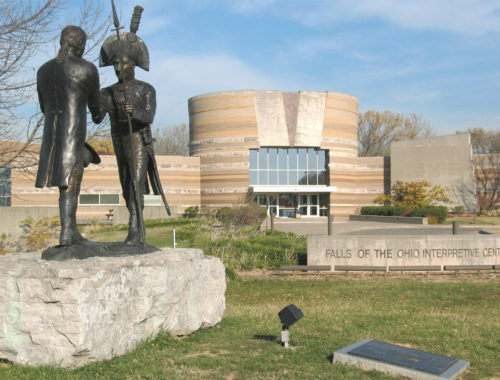 Travel the byway from Vincennes to the Falls of the Ohio near Louisville, Kentucky, and you are treading the same route as centuries of Native Americans. Very little of this “road” remains, but parts of it can still be seen from the byway. The Old State Bank in Vincennes was designed in the Greek Revival architectural style and is the oldest bank building in Indiana. Inspect the birthplace of Maurice Thompson, the author of the best-selling romance novel, Alice of Old Vincennes, first published in 1900. A local high school team is known as “the Alices,” named after the character in the famous book. 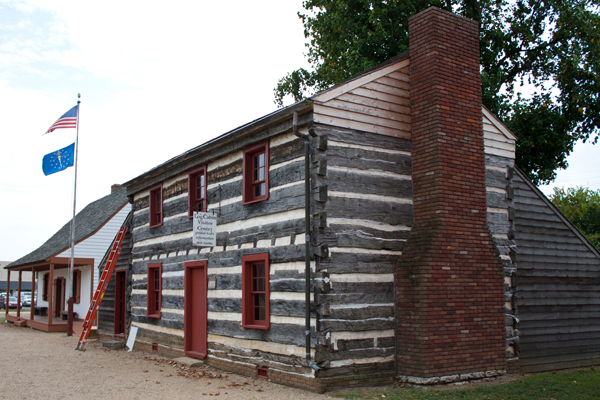 You can also visit the capitol of the old Indiana Territory, a small red building that housed the first legislative council of the territory. This council met in 1811 to determine the best type of government for the territory and its citizens. 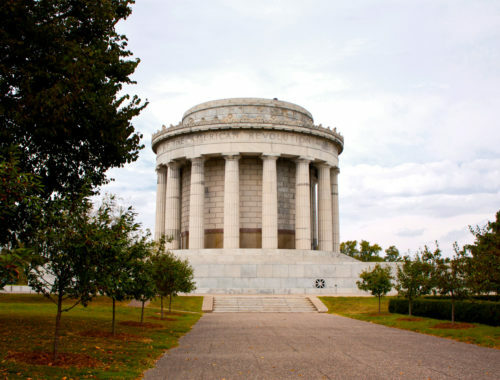 The George Rogers Clark National Historic Park, also in Vincennes, has the largest war memorial in the nation outside of Washington, D.C. It commemorates an important battle in the Revolutionary War, where George Rogers Clark and his men forced the surrender of the British at Fort Sackville. Stop in Aurora on the eastern tip of the byway to see the Veraestau Historic Site. Named from the Latin words for spring (“ver”), summer (“aestas”), and fall (“autumnus”), Veraestau is open for touring on weekends from April through November. Also, be sure to stop by for their annual Derby Day, held on the day of the Kentucky Derby. The fun includes a ladies’ hat contest, Dixieland music, Derby games, and more. While in Aurora, don’t miss the Hillforest Mansion. Built by Thomas Gaff, this mansion was constructed in a style sometimes called “Steamboat Gothic.” Come see for yourself how the circular porches, coupled columns, and round cupola combine to resemble a steamboat pilothouse. Historical markers in the town of North Vernon, near the eastern end of the byway, immortalize important happenings in the area, such as the attempt by Confederate General John Hunt Morgan to capture Vernon during the Civil War. Met with force by a detachment of the Indiana Legion under the command of Hugh T. Williams, Morgan and his troops retreated across the border into Ohio. This was one of the most important encounters of the war for Indiana, as it was vital in driving the Confederates out of the state. Explore the Butternut House or the Vinegar Mill, two of 100 or more structures built in the Greek and Federal architectural styles prevalent in this National Historic District. 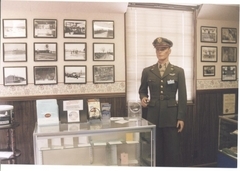 In Seymour, which is close to North Vernon, the Freeman Field Army Museum hosts exhibits on Freeman Field’s history and military aviation. The landscape today shows few signs of the area’s turbulent past. As you stroll through the tree-lined neighborhoods of Vincennes or attend the vibrant activities at Veraustau, imagine a not-so-distant past when opposing armies fought in the gentle hills and forests of Southern Indiana. 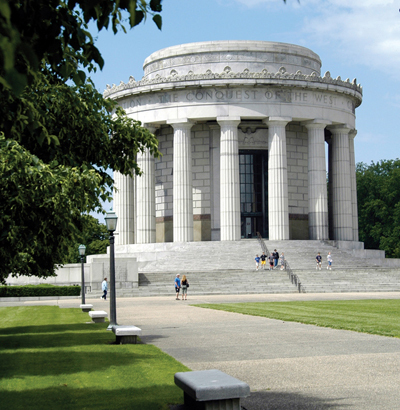 Travel Indiana’s Historic Pathways through centuries of American history.